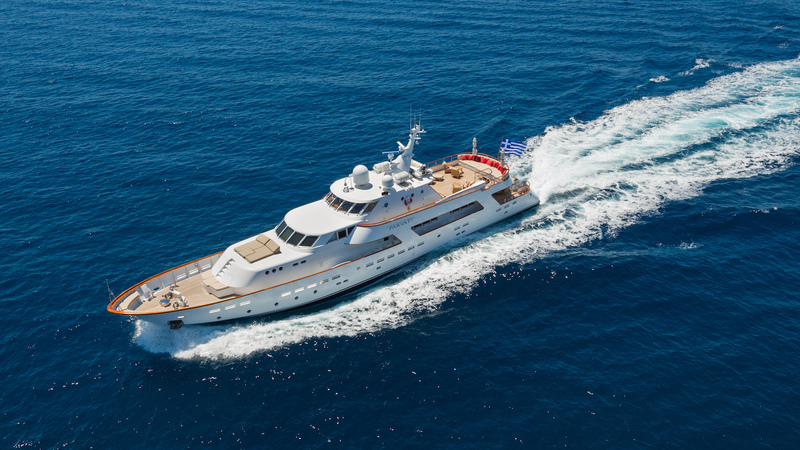 With her luxurious and classy interior refitted in 2017, Parvati has a classic and elegant profile and offers an ideal environment for relaxation. 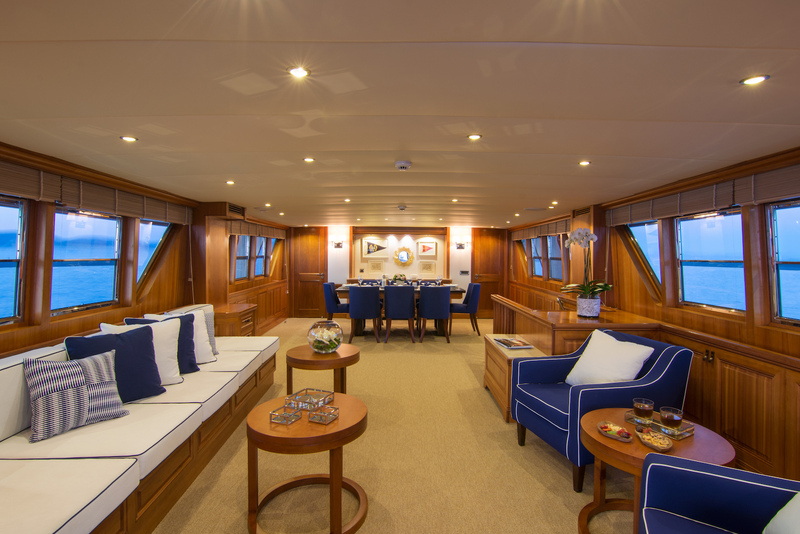 She has five luxurious staterooms, including a master stateroom on the main deck and double and twin cabins on the lower deck. The central VIP double and twin stateroom can easily be converted into a large VIP suite. The stylish interior represents a blend of ethnic styles by Michael Kirschstein Design. Light African and Indian influences can be seen throughout the yacht creating an atmosphere of glamour and luxury. 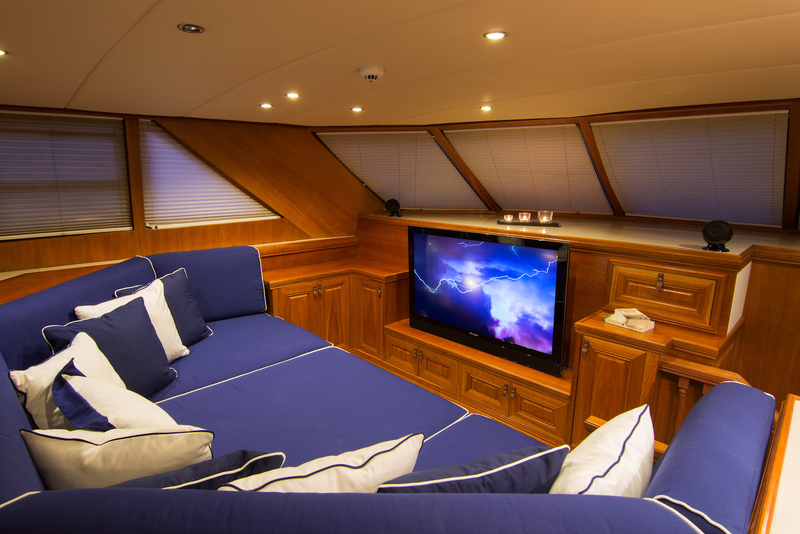 The perfect combination of elegance, luxury and comfort offering guests the opportunity to relax while enjoying the yacht’s numerous amenities. This unique space, situated close to the master cabin, is the perfect spot to enjoy a movie night or relax with family and friends. 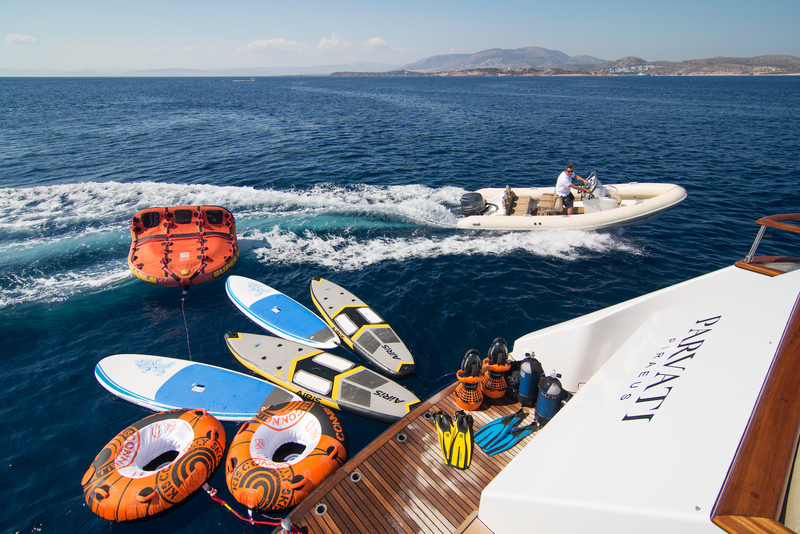 An outstanding water toy collection, including Sea-Doo jet skis, waterskis, a wakeboard and paddle boards, allowing guests to enjoy a wide range of water sports.